how the pressure effects can be managed. 13 fire tests were carried out to in Kurikka, western Finland, in fall 2015. Two different fire sources (heptane pools, polyurethane foams) and three different ventilation arrangements (closed, open, normal) were studied. The figure below shows ventilation ducts in these configurations. Additional section of duct was used for instrumentation purposes. Below are snapshots from a video showing how Pasi Paloluoma from the South-West Finland Rescue Services ignited the heptane pool fire. After the experiments, the team was relieved and happy. In this task we learned how to simulate the development of pressure and flows in a typical ventilation system using the FDS. The main results are the guidance on how to model the compartment ventilation and leakage using the HVAC module of FDS, and the validation statistics using both our own data and literature data provided by the Swedish FOA institute. See the master’s thesis of Rahul Kallada Janardhan for more information. The apartment building case study investigates the effect of the building envelop air-tightness on the pressures and smoke spreading in the ventilation network of a modern, mechanically ventilated apartment building. See Umar Riaz’ Master thesis for more information. The prison cell case study tries to evaluate the risks of a cell fire on the people inside the neighbouring cells, effectiveness of the different fire safety measures, and to provide guidance on the personnel. Final Report has been published online. Janardhan, R., Hostikka, S. Experiments and Numerical Simulations of Pressure Effects in Apartment Fires. Fire Technology, 2016. Hostikka, S. Janardhan, R.K., Riaz, U. Fire-induced pressures in modern airtight apartment building. Nordic Fire & Safety Days 2017. 17-18.8.2017, Aalborg University. Smoke Management, Sustainable Fire Engineering -conference, Sep 30, 2016, Dublin. 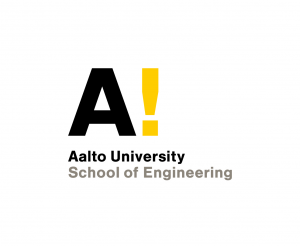 Paloseminaari 18, Paloturvallisuus ja standardointi. 10.2.2016, Helsinki. Lehtinen, K. Forskningsprojekt ”PAHAHUPA”: Tryckskillnader i bostadsbränder. Nordiska brandkonferens, 12-13.5.2016, Malmö. Nationellt forensiskt centrum. 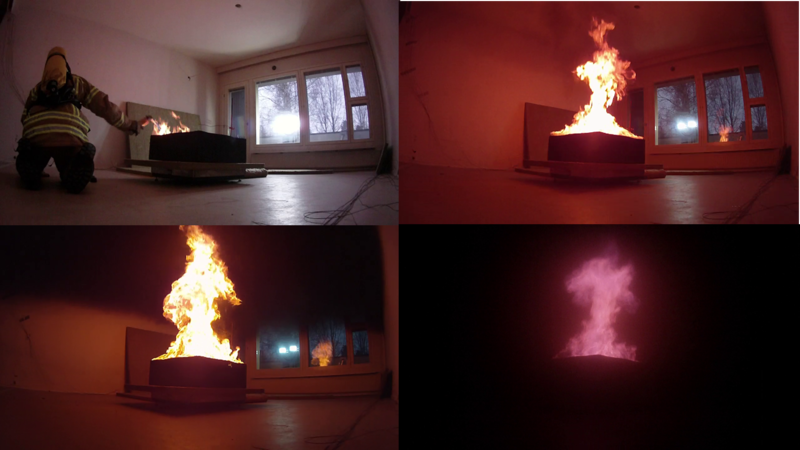 Hostikka, Janardhan, Experimental study of pressures in residential fires. Nordic Fire and Safety Days, Copenhagen, 2016. Janardhan, Hostikka. FDS Simulations of Compartment Fire Pressures. 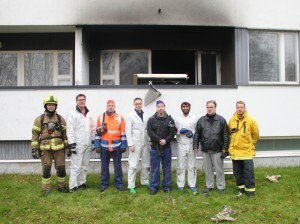 Nordic Fire and Safety Days, Copenhagen, 2016.